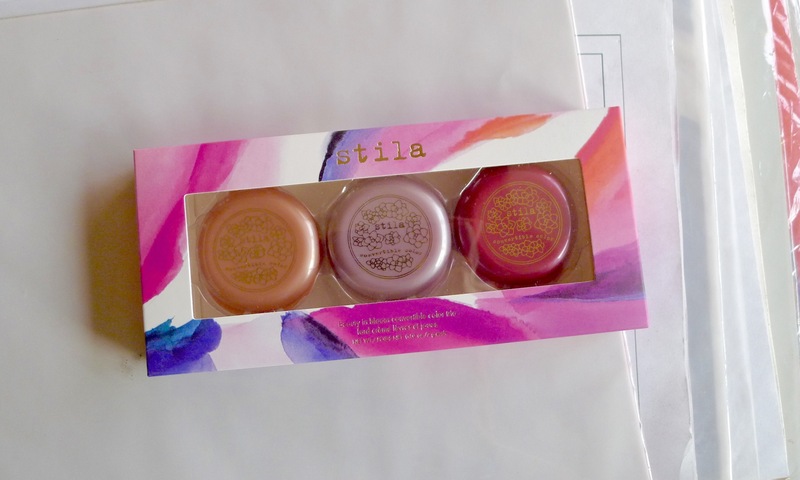 I have to be one of the last persons on Earth to try the Stila Convertible Colors. Everyone knows what they are and it seems that everyone adores them, too. I was looking through reviews on the product before writing this post and I did not stumble across a single one that might be considered negative. Crazy! 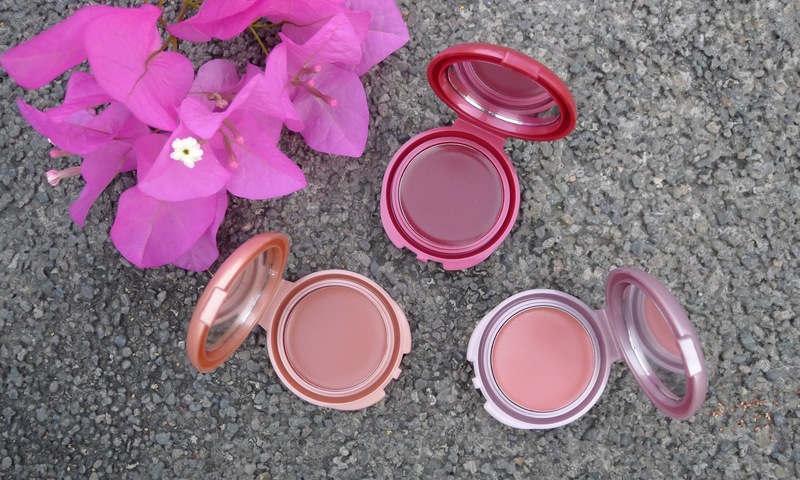 And can you believe that the Convertible Colors have been InStyle magazine’s “Best Cream Blush” for ten years in a row? Again: crazy! I didn’t go out with the intention of picking this set up but when I stumbled upon it one day while browsing through Essences at Rockwell, I thought it was a good deal. I guess that just as clichés are clichés for a reason, “cult faves” are cult faves for a reason, too. These are awesome and I wish I had brought them into my life sooner…but better late than never! 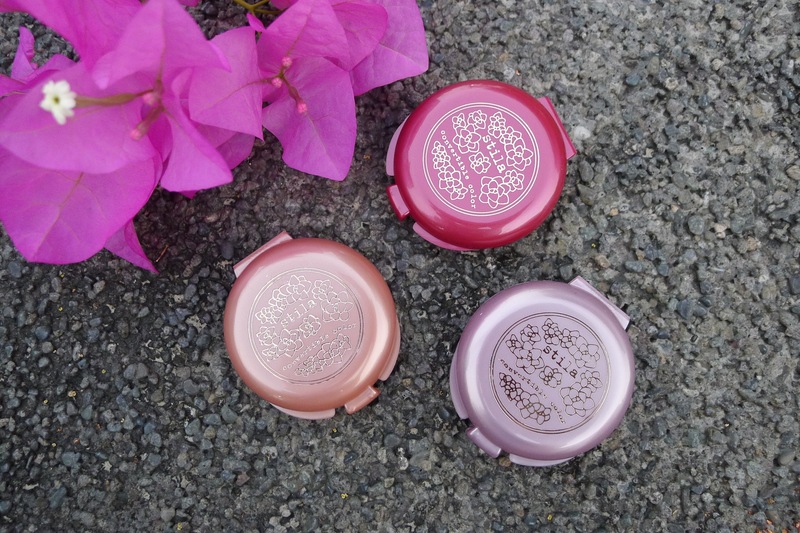 The “Beauty in Bloom” Convertible Color Trio (1,150.00 Php) is a limited edition set for summer that contains three mini Convertible Colors, weighing 2g each as opposed to the full-sized 4.25g Convertible Colors. The set I chose has the shades Camellia, Peony, and Tulip in it, which are all wearable and “safe” shades. There is also a “Blooming Bright” Convertible Color Trio that has brighter colours, namely Lilium, Petunia, and Hibiscus. First of all: Omg, they’re adorable. Mini products, when done right, totally steal my heart. Again, these are my first Convertible Colors, so buying minis was the perfect way to test the formula across several shades without spending for the big ones. Surprisingly I like all three shades, but I foresee using up Peony first. There are quite a few shades to pick from in the line (10-15ish) and I’m very happy that they chose these three in particular to place in a set. The packaging material is lightweight plastic but it feels nice and sturdy. The hinge may wear out from too much opening and closing eventually, but since there isn’t much product, hopefully I finish it all up before that happens. I love how small the minis are because even though the full-sized Convertible Colors are already quite compact, this teeny-tiny size can fit even the smallest evening bag… or go in your pocket, if you wanted it to go there for some reason. Camellia is a peachy brown that will probably look good on 90% of women, Peony is a rose pink with a brown base (love this one! ), and Tulip is a juicy red-berry. Look how smoooooth they look on my skin! 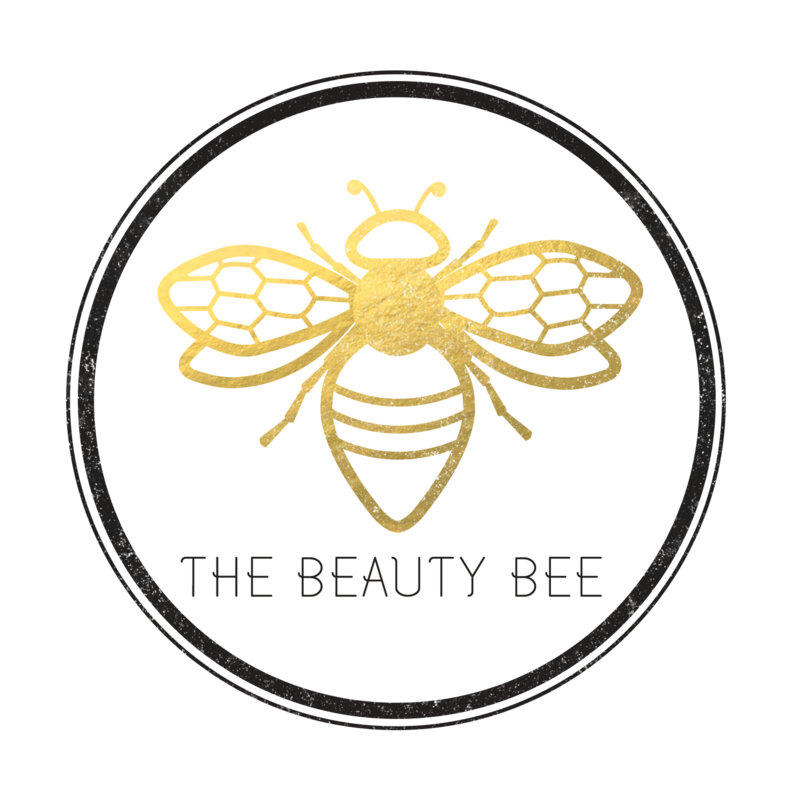 The Convertible Colors are an absolute dream to blend as they don’t go patchy, they don’t blend away into almost nothing, and you need the smallest amount of product to get a good amount of colour. I have even applied these on the cheeks over an already-powdered base and they still blended in nicely. I prefer using the lighter shades as blushes while Tulip is more of a lipstick colour to me. They wear all day on the cheeks if it’s not too hot, but on exceptionally sweaty days I’ve seen them wear off a bit at the 5th hour. Used as a lipstick, they wear 2-3 hours but fade evenly. The bottom line? I love these! If you’re also looking to try them or if you like the look of the sets, I’m sure they’re still available at Stila counters within Rustan’s Department Store. Grab ’em! ooh, you got a great deal! i have one (in Forget Me Not, i think) and it’s the perfect MLBB for me. i tend to forget that i have it though, with all the new stuff that’s keeping me preoccupied, so thank you for reminding me to show my CC some love! I saw these at Powerplant too! I was tempted to buy but I have too many, well 3, cream blushes I need to go through. :/ They’re so cuuute, I’m still considering! My vote goes to Peony as well. Pink-browns are my weakness, since they’re so versatile. I love these too! :) And they last forever, I swear. I have a full-sized one that I’ve been using for so many years now! Ooooooh would you recommend as a go to duo?